Today we have something of a rarity for you. You won’t find it in just any bar. It combines two great cocktail traditions: classic American and tiki, all in one glass. Say hello to the Martiki! The inspiration for this week’s cocktail came from a recent conversation with two drinks writers, Richard Godwin and Simon Difford. Over a few drinks, we discovered a shared love of kümmel, a kind of schnapps with a distinctive nutty sweet taste. We thought it would be fun to try to raise the profile of this delicious but rather forgotten liqueur. So, from now on the 17 April will henceforth be known as International Kümmel Day. Godwin suggested I try it in the form of a cocktail called the Martiki. So, I dug out my battered copy of Godwin’s book The Spirits (a great one-stop place for all your cocktailing needs) and found the recipe. The Martiki is, as its name suggests, a tiki take on a Martini in which you use white rum instead of gin, and in place of vermouth, kümmel. According to The Spirits, the cocktail was invented at The Luau restaurant in Beverly Hills. Now closed, the place was a celebrity hangout in the ‘50s and ‘60s, decorated in a tropical style, and featured an actual lagoon in the dining room. Bring back lagoons, I say. Much more fun than all this modern minimalism. Most recipes for the Martiki, however, don’t use kümmel. Some call for vermouth, and other versions are rather like Pineapple Martinis. According to Godwin, his recipe came from Jeff ‘Beachbum’ Berry. With a name like that, you’d expect him to know his tiki drinks. Kümmel gets its peculiar taste from caraway seeds along with cumin, fennel and other spices. So it’s not dissimilar to Scandinavian Akvavit, though sweeter. The leading brand Mentzendorff was originally made by a Prussian family in Riga, Latvia. In the 1860s, the family came to Britain and branched out into wine importing. The firm is still going strong and is the UK agent for Bollinger Champagne. The liqueur is now distilled in France. The other brand you might see, Wolfschmidt, is Danish. Despite its Baltic origins, kümmel used to be immensely popular among the British upper classes. There are mentions of it in Evelyn Waugh’s works. But the only places you will see kümmel drunk today are golf clubs and old-fashioned gentlemen’s clubs. Indeed, the last time I visited such an establishment to give a talk about my book, the man who had invited me insisted I join him for a glass of restorative kümmel afterwards. In short, kümmel could not be less fashionable, which means that it is ripe for a revival. And so, on to Godwin’s Martiki. If you’re a kümmel novice, you might want to halve the amount you put in. Expressing a piece of lemon peel is essential as it freshens the whole thing up; you can either drop it in, or if you’re feeling properly tropical, garnish with a piece of coconut. You could even, as recommended in The Spirits, add a little coconut water to make it totally tiki. Here’s the Martiki, a strange mixture of classic and tropical, with a good dash of Baltic into the bargain. Perhaps it should be called the Cosmopolitan. Stir ingredients in a shaker with lots of ice and strain into a cold Martini glass. Express a piece of lemon peel over the top, and garnish with a lemon twist or a slice of coconut. The English Whisky Co. is looking to see in St George’s Day the only way it knows how. With a new English whisky, of course! English whisky’s recent rise probably hasn’t escaped you. There’s seemingly no end to the glut of new brands and distilleries emerging, and they’re releasing any number of exciting expressions. But before most of the new arrivals had a drop of the good stuff to shout about, there was The English Whisky Co.. When St George’s Distillery at Roudham in Norfolk was founded by the Nelstrop family in 2005, it became England’s first registered whisky producer for over a century. The English Whisky Co. has since become the most prolific English malt whisky producer and the family-run, award-winning brand is probably best known for creating a wide variety of expressions. You want a peated dram? It’s got ‘em. You want an unusual cask? No problem. Fancy a single grain English whisky made with a combination of malted barley and rye? A specific pitch, but regardless they’ve got your back. From smoky, to floral, spicy and sweet, it’s a distillery that covers a lot of bases. This is due to The English Whisky Co.’s self-confessed experimental side. It’s not a brand with centuries of tradition to maintain and manage, so it’s little surprise that in the decade or so since it has been releasing new whiskies, we’ve seen the company flex its creative muscles. Despite being an old-timer in English whisky terms, it’s worth remembering this is a relatively young distillery that’s forging its identity. Which brings us to The English – Virgin Oak Cask, a whisky launched in time to mark the celebration of the patron saint of England. The English Whisky Co. informs us that this single malt was distilled in July 2013 and bottled in March 2019, with 2,689 bottles filled in total. As you can probably guess from the name, the stand-out feature of The English – Virgin Oak Cask is its full maturation in virgin American white oak casks. Which is an interesting way to go. It’s fair to say that virgin oak casks have proved to be quite divisive. The fear is that a whisky matured in a brand-new oak barrel is at risk of borrowing too heavily from the cask, resulting in a flood of wood-forward flavour and colour. But that doesn’t seem to have perturbed The English Whisky Co., and why should it? This is a brand that honours a fella who used to fight dragons, for goodness sake. As long as you approach the ageing process with enough care and an understanding of your spirit, you can utilise any cask and not end up with one-dimensional-tasting whisky. Which is what The English Whisky Co. has managed to do rather well here. It’s certainly sweet and, in places, vanilla-rich, but these flavours are balanced and there’s a lovely blend of dark, fruity and malty notes present to add depth. Look, it’s The English – Virgin Oak Cask ! Nose: Toasted vanilla pod, coconut ice, ginger and a hint of caraway. Palate: Full-bodied barley and almond liqueur notes, with nutmeg warmth growing. Yet more vanilla, now with some chocolate coffee notes developing. Finish: Honey on toast, soft citrus and some final peppery touches. With Easter just around the corner, you’ll want to make the most of the long weekend. These sweet and sublime expressions from the world of booze should do the trick…. With Easter just around the corner, you’ll want to make the most of the long weekend. These sweet and sublime expressions from the world of booze should do the trick. You know how every Easter we eat a ridiculous amount of chocolate and then comfort ourselves in the knowledge that it’s a tradition? Yeah, I love that. What an amazing time of year. But it doesn’t always have to be egg-shaped confectionery that we indulge ourselves in. There are plenty of other sweet treats just waiting to be enjoyed, and some of them are delicious drinks. To save you the trouble of going on a easter egg hunt yourselves, we’ve created a selection of superb and surprising sweets for Easter. So, what are you waiting for? Tuck in! It’s a scientific fact that jam doughnuts are delicious, so it’s about time somebody distilled them. The creative folks at Liquid Intellect did just that, making the doughy, jammy and sugary treats into a pre-bottled cocktail in the form of a Negroni. It’s an idea we can only applaud. Then drink. Oodles of sweet and fresh strawberry jam and doughy jam doughnut, with a fabulous balancing bitterness of Campari. Named after some bloke called Mozart, this creamy chocolate liqueur from Austria is a go-to for bartenders wanting to add chocolatey goodness to an array of cocktails for good reason. It was made using cocoa from West Africa, Madagascan vanilla, gourmet Belgian chocolate and a blend of cream and cocoa butter, and it’s as tasty as it sounds. Chocolate truffle, creamy vanilla and a pleasant touch of dark chocolate bitterness. Peanut butter and jam (AKA PB&J) doesn’t just make a great sandwich, but a wonderful Old Fashioned bottled cocktail too! Made by Aske Stephenson, the creation of Thomas Aske and Tristan Stephenson, this is best enjoyed in a rocks glass over ice. Oh, and the bottle was sealed with raspberry jam-scented wax. What a treat! Peanut butter and jam, nutty rye, fruity rye, corn sweetness and rich caramel. The enigmatic distillers at Manchester’s The Zymurgorium have a reputation for creating all kinds of weird and wonderful delights, and this sweet violet gin liqueur is no exception. Ideal in an Aviation cocktail, Zymurgorium Extra Io’s Footsteps Sweet Violet Gin Liqueur also shines in desserts. It was named after an Ancient Greek mythological figure, in case you were wondering. Fragrant and sweet, with plenty of pastel Parmas. Chocolate and orange go together like jam doughnuts and Negronis, so it’s little wonder That Boutique-y Gin Company made this flavoured gin treat. Crafted using bitter orange peels, roast cacao nibs and a host of traditional gin botanicals, this Chocolate Orange Gin blends all the creamy richness we love from chocolate and the tart, refreshing qualities of oranges in a winning combination. Chocolate cake, peppery juniper, fresh clementine, floral elements and lingering dark chocolate elegance. The Bakewell tart is an institution, don’t let anybody tell you otherwise. Thanks to a humble family-run distillery in the peak district, you can now enjoy said institution in the form of a tasty gin! Distilled in a small copper pot still using six botanicals, cherry, almond, juniper, cardamom, cubeb pepper and hibiscus flowers, Bakewell Gin is exactly as delicious as you would expect from a tribute to the classic English confection. A spicy and floral opening keep things interesting before the awaited ground almonds and cherry jam reveal. There’s a touch of custard in there too. From Bob’s Bitters range comes a way to chocolatify (it’s a word) your cocktail in style, with this single-botanical Chocolate Bitters. You can just picture Willy Wonka and the orange fellas using this when they’re enjoying a well-earned drink after a shift in the factory. Chocolate bitters, to be honest. We saved something a little different for the end, a top South African red wine made with a blend of wine types, predominantly Syrah supported by Grenache, Cinault, Cabernet Sauvignon and Viognier. The 2017 vintage from Boekenhoutskloof spent over a year resting in French oak before being bottled up for wine enthusiasts that know that Easter is the best time to enjoy a rich, chocolatey red. Raspberry and blackcurrant, cacao, mince pie and just a touch of smoke. ‘One-off’ Glenmorangie 1991 is here! No Comments on ‘One-off’ Glenmorangie 1991 is here! Much excitement, folks! This week, Highland Scotch whisky distillery Glenmorangie unveiled the fourth release in its Bond House No. 1 vintage collection. And we were among the first to taste Glenmorangie 1991! We’ll start off by giving it its proper name: Glenmorangie Grand Vintage Malt 1991. So far, so fancy. What’s so exciting about this particular expression? We high-tailed it up to L’oscar, a former Baptist chapel that has been transformed into a dark, decadent hotel and restaurant, to check it out. Luckily for us, Dr. Bill Lumsden, Glenmorangie’s director of distilling, whisky creation and whisky stocks, was there to help unpick this one. He described Glenmorangie 1991 as “small batch” and “a genuinely one off whisky” – which always piques interest. But this time, we genuinely think it deserves the hype. It’s a rich, plummy sort of spirit, made from two parcels of whisky – unusual because they’ve been brought together. One parcel was finished in oloroso sherry casks, giving it all kinds of Christmas cake spice. The other? Burgundy cask-finished liquid, giving it an earthy richness. Both had been ‘finished’ for ten years (maybe more of a second maturation?). There’s some full-aged virgin oak wood, and come classic bourbon-aged Glenmorangie thrown in for good measure, too. It shouldn’t work. But it does. But only just. What’s even more remarkable is that back in 1991, cask finishing wasn’t really even A Thing. 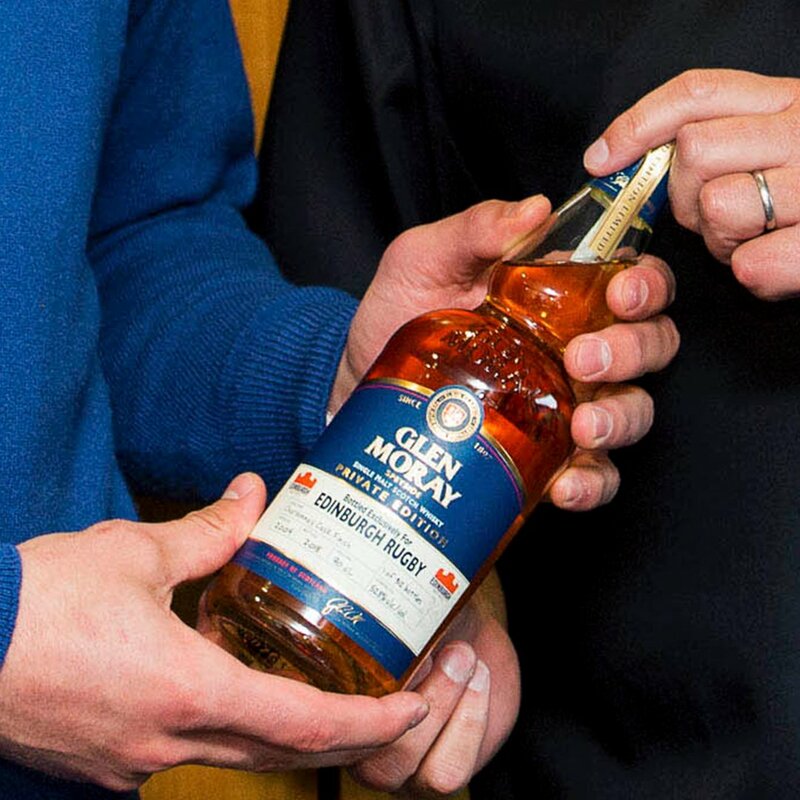 We’re super used to seeing it today, but back then, Glenmorangie was one of the first to explore the technique. Lumsden himself acknowledged that Glenmorangie 1991 was “tricky whisky to work with”, totally unlike the ‘89 and ‘93 expressions in the same collection. “Bringing together two such incongruous whiskies goes somewhat against convention which, in part, is what drew me to the challenge of combining them,” he said. “The result is a single malt with a rich plum character, deep, mellow aromas and tastes of ripe fruits and milk chocolate. Nose: There’s chocolate orange, dried pineapple and aromatic cigar box aromas. A little time and fudge and toffee appear. Palate: Very complex, powerful and peppery with a noticeable chew from the wood tannins, then fruity notes come through dark cherry and classic Glenmorangie peachy notes. Finish: Rather long with honey and salted caramel. The even better news? Glenmorangie Grand Vintage Malt 1991 is in the building! Enjoy, folks. 1) A bar in Barcelona in the mid ‘90s, I’ve just ordered a Gin Tonica. The barman fills a tall Collins glass with ice, then free pours Larios Gin almost to the top, adds a slice of lime, adds a splash of tonic on the side, and I marvel as the UV light turns the drink blue (something to do with the quinine) while Ritmo de La Noche bangs away. 2) Sunset over Lake Malawi, the heat of the day has faded a bit, I’m sipping a G&T made with the local gin (which is excellent, why does nobody import it?) and thinking about dinner. The drink is extremely cold and alive with limes that taste as if they’d just come off the tree. Probably because they had. 3) At my grandfather’s house. Him explaining to me in his pedantic grandpa way how to make a G&T. The method involved Beefeater gin, lots and lots of ice, good quality heavy tumblers and Schweppes tonic water out of tiny bottles so that they were bursting with fizz. My grandfather made a mean G&T, much better than my father. These stories illustrate how a G&T should be: majestic, refreshing and invigorating. Now think of those pub versions you’ve had: watery ice, flat tonic, and sad dried out lemon, if you get any citrus at all. The whole thing tasting sickly sweet. Here I turn to the words of the great Victoria Moore in her book How to Drink (it was published in 2009, we really need an updated version): “Some people think that there is no need for instruction when it comes to making Gin and Tonic. Those people are wrong.” Making a good G&T isn’t difficult but it does require care. When it comes to ingredients, we’re now spoiled for choice. You can go for classic gins with a big whack of juniper (Tanqueray) or floral lighter ones (Bombay Sapphire) or even ones that don’t really taste like gin (looking at you, Gin Mare). I’m using Ramsbury Gin from Wiltshire which contains quince as one of its botanicals. Tonic water has exploded recently with every variety under the sun from Fever Tree and its rivals. Don’t, however, ignore Schweppes. For many G&T fanatics, it’s the only one that will do. Which gin or tonic you use, however, is largely a matter of taste. What isn’t a matter of taste is the proper way to make the thing. First the glass: use a heavy tumbler, a Collins glass or one of those Spanish fishbowl things. You need lots of ice, the cubes should be as large as possible. Try to avoid ice bought in bags as the cubes have holes in which makes them melt quicker. Both your gin and tonic should be chilled. I keep a bottle of gin in the freezer for emergency Martinis. Now the citrus fruit: it can be lemon, lime, grapefruit or orange (particularly nice with Brighton Gin) but it must be freshly cut. It sounds a bit pretentious but you will really notice the difference with Amalfi or Sicilian lemons as they have a floral perfumed quality rather than just being sharp. Got your ingredients ready? Is your gin in the freezer? Let’s have a bloody Gin Tonica! Fill a Collins glass or tumbler with ice, pour in the gin and top up with half the tonic water. Rub a quarter of lemon around the rim, drop in and stir. Serve with the rest of the tonic on the side so you can dilute to taste. Don’t forget the salty snacks. The press bumf describes Fiero as “the biggest new product launch undertaken by Martini in years”. And there can be no doubt at the sizeable market Fiero is aimed at: Aperol drinkers. Those bright orange spritzes are so ubiquitous now it’s hard to remember that until 2009/10, Aperol had little presence outside Italy. I think like many Londoners I had my first taste of it at Polpo on Beak Street, which proved so influential when it opened in 2009. By 2014, the Aperol Spritz was everywhere from country pubs in Wiltshire to seaside towns in Spain. It was a stunning example of how to market a product. It’s easy to see the appeal because, though there is a certain amount of bitterness, with its sweet orangey taste and low alcohol (11% ABV), Aperol is almost Kia-Ora for grown-ups. Not that that’s a bad thing. I think it tastes particularly fine mixed with fizzy water and grapefruit juice. Aperol’s success has led to a vogue for spritzes. To my knowledge, however, there haven’t been any mainstream products aimed squarely at Aperol (though I did try a supermarket own-label version a couple of years ago which was pretty revolting). Until now…. Martini Fiero has been available on the continent for a couple of years now, but this month it is being officially released in Britain. It’s actually a very different product from Aperol. Though it doesn’t say so on the front label, it’s actually a vermouth, which means that it’s made from white wine rather than the neutral alcohol that goes into Aperol. It’s also higher in alcohol at 14.9% ABV. Martini informed us that it’s made from 100% natural flavours and colours, including orange and two types of wormwood (artemisia absinthium and artemisia pontica, for vermouth geeks). So how does it taste? Rather delicious, I thought. It feels a lot less sugary than Campari or Aperol; the overwhelming flavour is of sweet oranges with some bitter orange peel notes at the end and a certain medicinal tang. You can also really taste the wine base. Perhaps it’s the bright red colour, but it reminded me a bit of Panda cherryade which used to be sold at my local cinema in the 1980s (interestingly, the same local cinema has been poshed up and now sells Aperol Spritzes). I liked it mixed half and half with soda water, with grapefruit juice and soda, and it makes a cracking Gin and It. Martini recommends drinking Fiero with tonic water which worked beautifully, the bitterness in the tonic chiming with the subtle bitter notes in the vermouth (though I did add a splash of soda to lessen the sweetness). Just as Campari lovers can be a bit sniffy about Aperol, I think some vermouth fans are going to turn their noses up at Fiero. The flavours are clean and simple, it doesn’t have the complexity of the Martini Riserva range or the power of the standard Martini Rosso (hard to beat in a Negroni). But, of course, it is not aimed at vermouth nuts. According to Martini, “Fiero & Tonic provides a younger adult audience with a refreshing new way to enjoy vermouth as part of the aperitivo occasion”. As a sweet, fruity drink with enough bite to keep it interesting, it’s the perfect uncomplicated drink for a summer’s day. Rather like another orangey Italian drink I could name. No Comments on Explore Scotland’s whisky regions! I think it’s pretty obvious to everyone by now that we do enjoy a dram or two of Scotch whisky here at MoM Towers. Some who share our passion may prefer to indulge in expressions from the same region, be it the Lowlands, the Highlands, Campbeltown, Islay, the Islands or Speyside. We, however, love all of them like children and, just like every parent you’ve ever met, we can’t wait to talk your ear off about how much we do. So, whether you prefer the peaty powerhouses typically found on Islay, the sherried and sweet often associated with Speyside, the malty, fruity whiskies you’ll regularly see in the Highlands or all the above and more, then you’ll be happy to join us on a journey that marvels at the huge range of different styles of whisky that are produced all over Scotland. Before we start, it’s worth checking out this Drinks by the Dram Tasting Set, which contains five 30ml samples that showcase the Regions of Scotland. Now, on with our adventure! We start our journey at the fabulous Bladnoch Distillery, which started up production once again in 2017 following some periods of difficulty. Since its return, the brand has created some delicious and intriguing drams, such as the 17 Year Old California Red Wine Cask Finish. Originally matured into ex-bourbon barrels, this 17 year old single malt was then finished in Californian red wine casks to create a rich, rewarding and wonderfully fruity profile. Dried fruit, orange marmalade, coffee, cherries, toffee, vanilla, liquorice, shortbread, black pepper and sweet oak. Glenkinchie 12 Year Old is not only the flagship expression from the Glenkinchie distillery, but it makes for a fine introduction to all things Lowland Scotch. A creamy, sweet and smooth expression that’s ever-popular and incredibly versatile, it’s no surprise this expression was named the winner of the Best Lowland Single Malt at the World Whiskies Awards in 2016. Light and aromatic with hints of barley malt, almonds, hazelnuts, stewed fruits, dessert wine, apple peels and manuka honey/beeswax. We journey now to Campbeltown and its famed Springbank distillery, which is known for its distinctive, powerful whiskies and loyal following of enthusiastic, passionate fans. The brand’s 10 Year Old expression, a blend of both bourbon and sherry matured whiskies, is the kind of dram that makes you understand why. Quite simply a sublime introduction for those not familiar with the distillery or the Campbeltown region in general. Oaked aridity, rich peat, earthen rootiness, exotic fruits, salinity, cereal sweetness, dark nuttiness and whirling smoke. We venture now to arguably the most famous and certainly most productive of all Scotch whisky regions: Speyside! Glenrothes has been providing great whisky in this part of the world since 1878, but it’s only recently eschewed its famous vintages to make for age statements. This 12 year old single malt, released as part of the Soleo Collection, is one such example and you’ll find that this teaming with the kind of sherried deliciousness people love from a Speyside Scotch. Floral vanilla, galia melon, shortbread cookies, honey, banana, white chocolate, black pepper and cinnamon. This fruity, floral and sherry-rich single malt was distilled at Strathisla, which is not only the oldest continuously operating distillery in Scotland, but also one of the most beautiful. It’s currently owned by Chivas Brothers and much of the whisky is used for its blends, however, given its significance to Scotch whisky and the brand, it’s little surprise Chivas Brothers decided to honour the distillery with its own expression. Soft oak, candied peel, Danish pastries, cooked apple, malt, sultanas, cinnamon and allspice. We now find ourselves on the Isle of Islay, which is pretty much the closest we’ve got to a holy land for us Scotch whisky fans (don’t forget to make your pilgrimage for Feis Ile 2019 from 24 May-1 June). We know that some of you will have immediately scrolled when you saw this blog for the first thing that could be classed as Islay awesomeness in a bottle. Good thing you did, as the Caol Ila Distillers Edition bottlings are not to be missed. This edition is the 2004 vintage Distillers Edition, which was bottled in 2016 after it was finished for a period in a Moscatel cask. Expect smoke, expect sweetness and most of all, expect a truly sublime Scotch. Honey, subtly floral malt, a crash of sea spray, peat smoke, golden syrup, orange oil, jasmine tea, brown sugar, red grapes, cinnamon, cassia and a few touches of spearmint. We’re now at Islay’s farm distillery Kilchoman for a delicious dram of Machir Bay, the flagship of the Kilchoman range. Named after the scenic beach on Islay, this excellent single malt Scotch whisky that was matured in both bourbon and Oloroso sherry casks and boasts a wonderful balance of peat, sweetness and zesty citrus. One to savour. 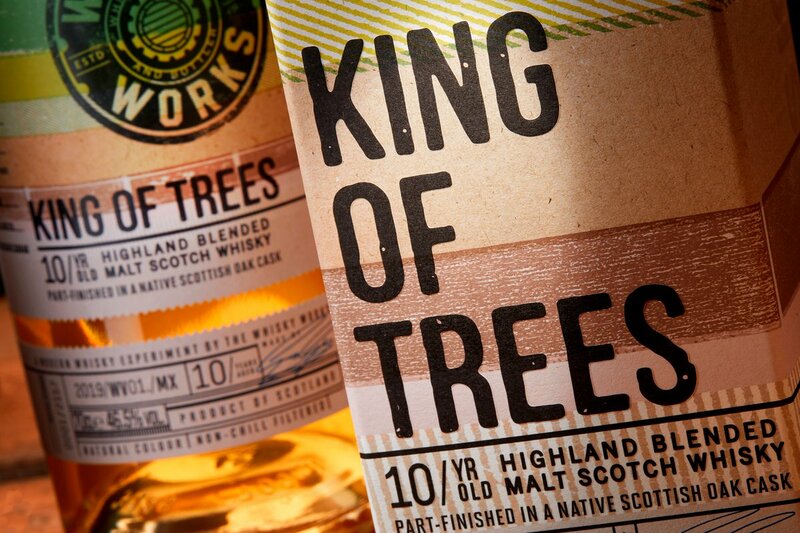 Citrus zests, crumbly vanilla biscuits, elegant peat smoke, tropical fruit, dried raisin and cracked black pepper. Our next stop is the wonderful Highland region for a delightful dram of Deanston. All of the distillery’s whisky is distilled with Scottish-grown barley and the 18 Year Old expression served its finishing period in first-fill Kentucky bourbon casks. With just a hint of drying smoke and plenty of creamy, sweet characteristics, Deanston 18 Year Old is a fine expression that should not be overlooked. Earthy vanilla, Golden Grahams, honeydew melon, flint, lemon cheesecake, orange boiled sweets, oily walnut, stem ginger and beeswax. The Islands, which are often classed as being part of the Highlands, are home to some classic names like Talisker, Tobermory and, of course, Highland Park, the latter of which is our final stop. It’s located on the island of Orkney, where you’ll find puffins, plenty of great Scotch and also puffins (did I mention Orkney has puffins, guys?). The brand’s expression Valknut is part of the Viking Legend series and features a small portion of Orkney-grown Tartan barley. This is a more smoky customer than you may be used to from Highland Park, but it’s still got plenty of that typical rich, succulent profile you’ve come to love from Scotland’s most northerly distillery. Warming peat smoke, fresh vanilla, thyme honey, toasted barley, fennel seed, flamed orange peel, gingerbread, BBQ char, nutmeg and sandalwood. Back in 1999, Mackmyra was the first and only whisky distillery in Sweden. The story began with eight friends who all loved whisky but realised there were no Swedish producers. Naturally, they questioned why, and solved this problem by creating their own! Today, Mackmyra is actually made up of two distilleries and continues to push boundaries. When it launched in 2002, distillation was carried out at the Mackmyra Bruk site, until 2011 when production was moved to the new Gravity Distillery at Gävle. This innovative feat of construction stands 35 metres tall and seven storeys high. As you might have guessed from the name, the distillery makes use of gravity throughout the whisky-making process. In 2017, the old distillery at Mackmyra Bruk was brought back up-and-running under the name Lab+Distillery, which explores slightly more experimental spirits. Mackmyra Äppelblom, the latest release, is a single malt aged in ex-bourbon and new American oak casks. Äppelblom, meaning apple blossom in Swedish, refers to the very special finishing process in oak casks which previously held Calvados from one of the region’s leading producers, Christian Drouin (Calvados is an apple or pear brandy from Normandy in France). The family-run company began in 1960, and the apples come from the Drouin family orchards, many of them harvested by hand. Mackmyra’s master blender Angela D’Orazio partnered with Christian Drouin and his son Guillaume to create the whisky, which is bottled at 46.1% ABV. It seems it was a match made in heaven; D’Orazio commented that “the choice of Calvados producer was easy. Christian Drouin creates absolutely fantastic Calvados, […] he has challenged French traditions in this area, and is therefore the perfect match for Mackmyra’s approach and our enjoyment of experimenting”. Since Christian Drouin’s Calvados is aged for an exceptionally long time, a minimum of 20 years, there’s very little opportunity for the casks to be used a second time. For the first 20 years of the business, all of Drouin’s Calvados was ageing and not one bottle was sold. We’d say that was quite an investment, and clearly this isn’t a finish that we’ll see all that often! Guillaume Drouin, managing director at Calvados Christian Drouin stated that he was “happy to see the result of this innovative ageing using one of the very few casks we ship from our cellar”. We present to you, Mackmyra Äppelblom! The result is a lightly-spiced and fruity whisky, reminiscent of fresh green apples, just in time for spring! While wonderful served neat, you can also try Mackmyra Äppelblom alongside a warm apple dessert or even apple sorbet. Nose: Toasted oak and orchard fruits galore, namely apple and pear with a hint of lemon, delicate floral notes with sweet vanilla and toffee. Palate: Well-rounded fruity and spicy notes continue with the marriage of pear and citrus. Cedar wood emerges alongside aniseed, caramelised almonds, white pepper and ginger spiciness. Finish: Spicy tones linger with gentle oak and zesty lemon and apple. The customary shenanigans of the 1st of April have no place here. This is all about stone cold facts. This is what our Master of Malt Dram Club members will be receiving this month! Look, we know everyone is going to be wary of everything posted on the internet today. We’ve all looked at Twitter this morning and seen some brand doing something silly. We’ve all gone on Facebook and seen that one relative posting something that barely counts as a prank followed by countless laughing-face emoji. No horseplay here, though. Not with your monthly update about what deliciousness you’re going to find in your Master of Malt Dram Club Tasting Sets.